People cycling two abreast is a beneficial safety technique. Two abreast riding makes cyclists more visible to fellow road users. It facilitates communication between cyclists and increases organization. It doubles the scanning power of cyclists for hazards on the roadway by placing two riders (instead of one) in the front position with the clearest view. And it reduces the size of the group lengthwise by half, facilitating quicker passing. The two abreast group riding formation is compact and global best practice. Partners including parent and child want to ride side by side. It works to strengthen confidence by fostering teaching and learning, and facilitates the sharing of knowledge for faster development of public traffic skills. People cycling next to each other is an encouragement tool and increases cycling pleasure. Traveling with partners is recommended. Two abreast groups are natural. Social cycling is the way to go. Always be aware of your surroundings and fellow road users when cycling. I call this interactive cycling. Most of the time two abreast groups are easier to pass because of the increased visibility and shorter length. If traffic is having trouble passing you and changing from two abreast to single file would facilitate safer and more timely passing, cyclists may decide to go single file so long as it doesn’t compromise the safety of the group. Going single file is easier to do if the group is smaller. If the road is not wide enough to share side by side with faster traffic in any formation and going single file would leave open or create the possibility of a “squeeze pass”–an unsafe pass without sufficient clearance–don’t compromise safety for passing convenience. It is the cyclist’s responsibility to decide where to ride in the road for safest positioning. Being predictable, visible and consistent is key. It takes patience and cooperation. With practice and by raising traffic awareness to shared use, we get better at it over time. Cascade has 15,000 members! Can we do more in sunny New Mexico? 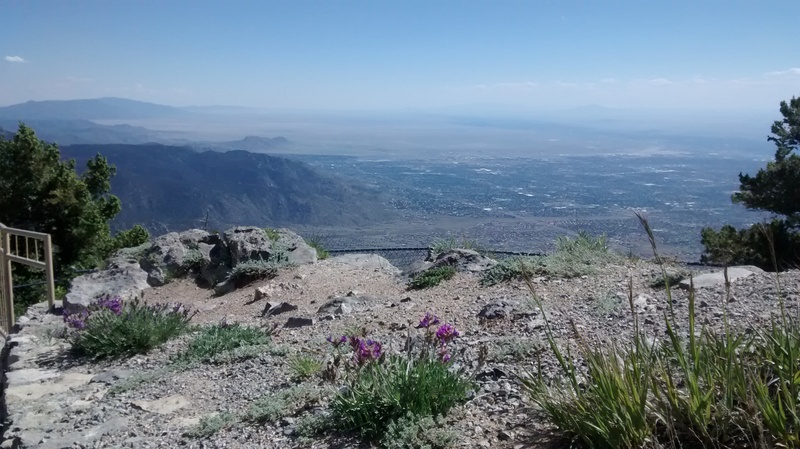 This entry was posted in Elements of Cycling on June 26, 2015 by bikeyogiblog. The outdoor life here in New Mexico is sure good. 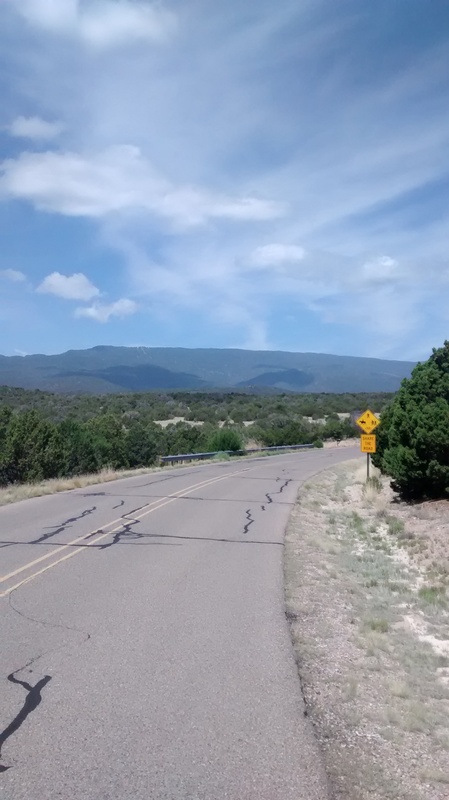 I was riding near San Pedro Creek in the East Mountains on Via Entrada for the first time and came across these signs. 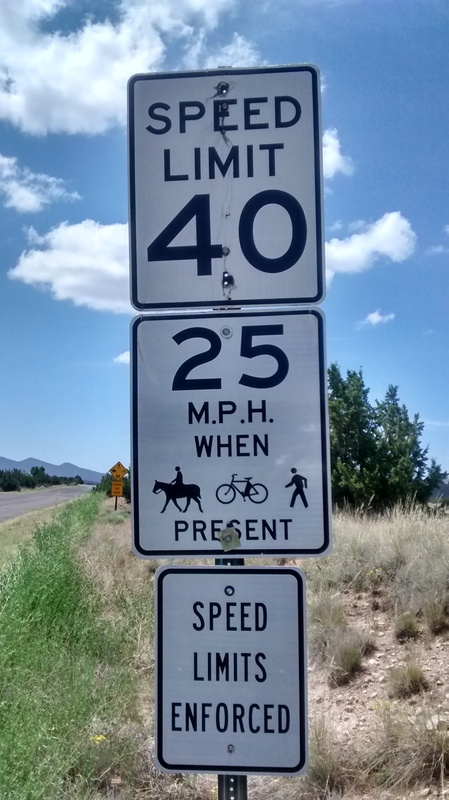 Slowing down in the presence of people in the saddle, walking and bicycling is intuitive but it is good to see it communicated. The “speed limits enforced” part is a nice touch because in our culture people sometimes assume you can get away with going beyond the limits. Raising our social consciousness to the presence of others is good. These signs impress that different ways of traveling are all expected activities. This is pretty much how we should view every street and road. Streets are complete with people, and people walk and bike for every reason, just as we use cars. Being able to walk and bike is not a luxury, but these travel modes are basic necessities, like water and nutrition. Walking and biking are good ways to enjoy social time with family and friends, find inspiration, process thoughts, burn off a little stress, and experience simple pleasure. We might even go so far as to say they are preferred activities. Recreation is productive. Active recreation is the best medicine we have for building health. Anyone can do it, and these modes are cheap, accessible, engaging, and fun. They’re light impact and never get old. Actually they keep us young. 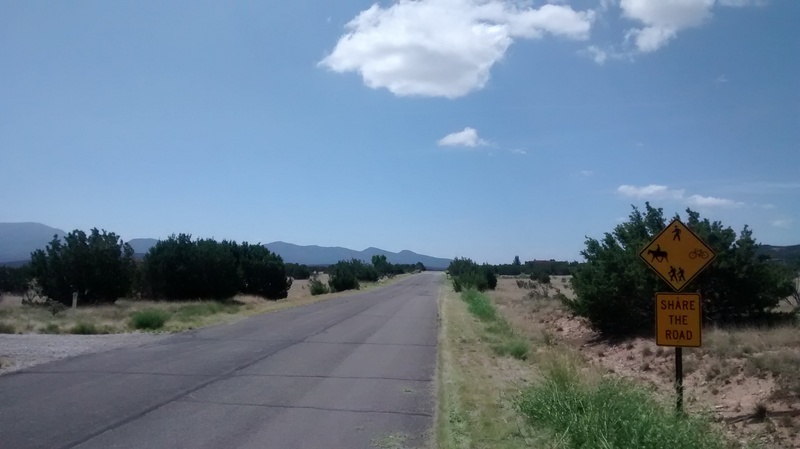 This entry was posted in Elements of Cycling, exploring by bike, healthy roads on June 25, 2015 by bikeyogiblog. 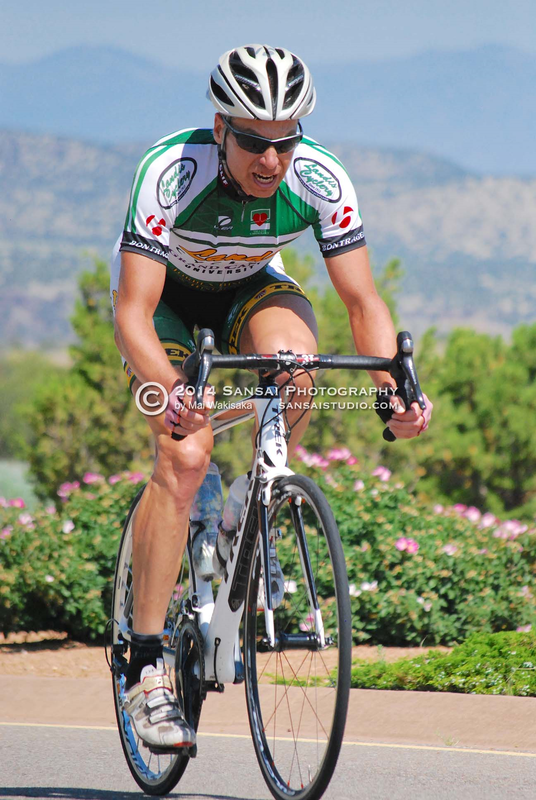 I didn’t set out to be a bicycle racer. I started riding when I was 22 after selling my car. It was an economic choice. It turns out the useful bicycle ride, the commute and doing daily errands, is good exercise. The best kind because it happens automatically. I gradually started riding more on the weekends, riding with friends, and new dimensions in cycling opened up. I’m just saying this because you may not consider yourself a competitive cyclist, but if you leave open the possibility you never know what may happen. You may find yourself doing an organized ride, loving the challenge, and doing things you have not imagined. It is happening to me. 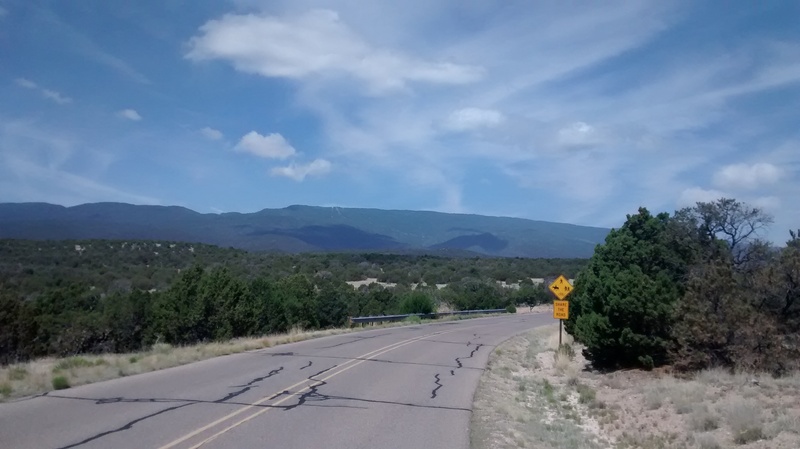 The Las Campanas (“the bells”) is a residential community on the perimeter of Santa Fe in the beautiful high desert of New Mexico. 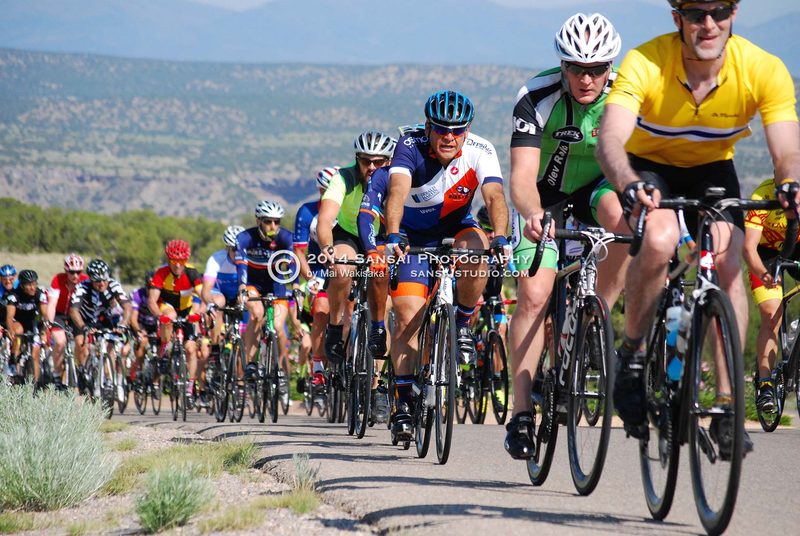 This year Las Campanas hosted the New Mexico State Championship Road Race on the undulating nine mile loop road encircling the community. My race did 6 1/2 laps for 61 miles. It was fast from the start line. 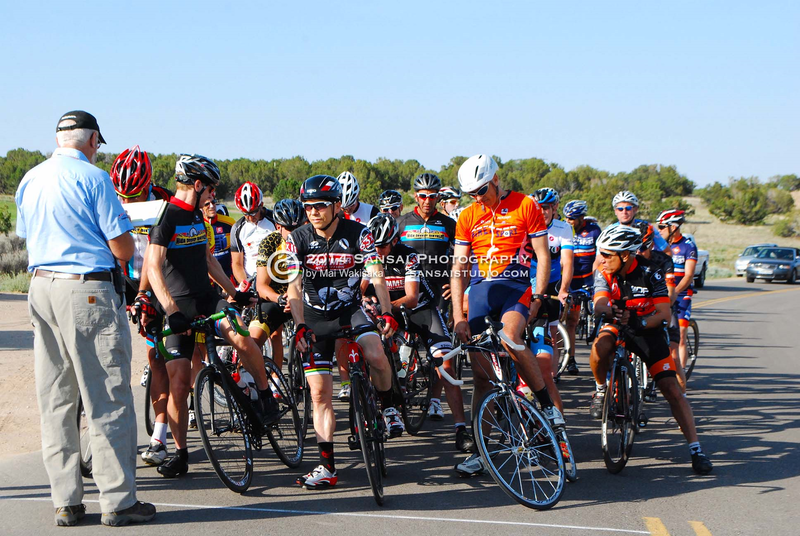 The best thing about bicycle racing is there are so many unbelievable things. When we ride we imbue the everyday road with new stories. Last year I drove over from Flagstaff, AZ to race here but this year since I’ve moved to Albuquerque, Las Campanas is much closer to home. That makes a big difference. When I’m cycling I feel like I’m drawing up strength from the landscape and this year I had a stronger sense of being well situated. The road remained open to regular traffic so we shared the road with many locals who were out on a Sunday morning bicycle ride. The enjoyment of cycling here goes together with people’s desire to feel at home on the land, even fall a little bit in love with it. People ride for many reasons. It’s all good. The dry desert heat was coming on quickly Sunday morning and after the first few laps I was steaming hot. I didn’t have great legs or total energy but sometimes this makes me race smarter. Plus the pace was so hot I couldn’t do much but follow. The Zia Velo team had four riders and Nero Veloce had five. Plus guys with big engines that like to race hard including Daniel and Bryan were present, as was a visitor from Louisiana named Mathew who was constantly attacking. Mathew was not eligible for the State title and there was no prize money since this was a State Championship event, so he was purely interested in racing hard. He’s probably on his way out to Amateur Nationals or gearing up for some other race by training at altitude. We zoomed around the course without let ups, air rifling in and out from our chests. During the third lap my front tire went flat. I pulled over and the follow car with spare wheels was right behind and stopped to help me. I got a new wheel and was back on the road in under a minute, but the pack was long gone. I spent an entire lap chasing. This was a hard time in the race because mathematically you realize if a few people in the main pack cooperate taking turns going fast on the front, you may never catch back on. When you’re soloing out there in the wind you can’t get any rest. 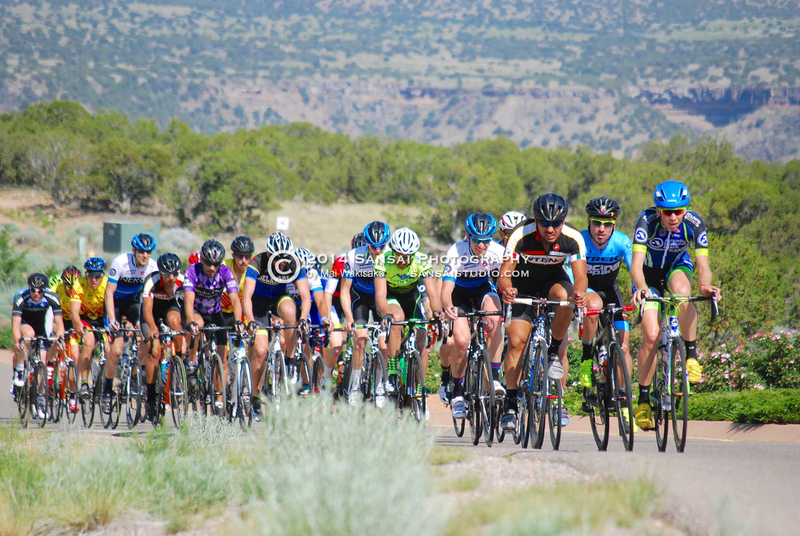 The riders in the pack can tuck into the slipstream of the lead riders and save 30 to 40% by being in the draft, and on the downhills even stop pedaling and get pulled along in the wind break. Even though I felt tired I just time trialed as long as I could determined to catch back on. Otherwise my race was finished. First I saw just empty road in front of me, then after half a lap I could see the follow car up the road, and finally on the stair step climb I could see the tail end of the peloton. That’s when it becomes most painful because you are almost there but with any changes in pace you may never make it. I was lucky there was a lull in the action and after a lap of chasing I rejoined the group, half wilted in the sun. Ryan from Zia looked over and saw I was back, and noticed I was riding his spare wheel. The follow car had given me a random one for a quick change. The irony made us laugh, but I was all gratitude because it was a very nice wheel. I was just hoping the action wouldn’t heat up again too fast because I was hot and tired. I ate and drank and tried to rest. My basic strategy was to conserve energy and only spend energy when I had to. For the rest of the race I stayed tucked in and calm, saving it for when it counted. 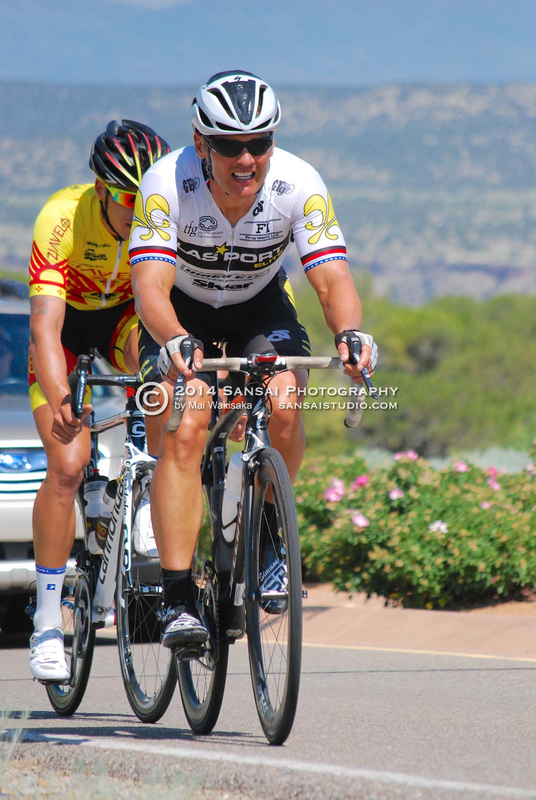 Most of the attacks that went were missing a Zia Velo rider, so their team would chase. On one occasion Mathew rode off the front with a Nero Veloce rider and Marcel from Zia bridged up, so I had to chase. But I didn’t close the gap entirely because I realized the Zia team was actually trying to set up another one of their riders, so they didn’t really want that break to remain clear. It is tough psychologically because you want to prove you’re strong and capable, but the best way to show respect is by playing the tactics that the situation demands. Always remember the competition is top notch. I did this course last year so I knew the climbing portion past the golf course maintenance area was not sustained enough to make the decisive selection. I had this image in my head that the successful move would have to come on a well timed counter attack on one of the rolling hills past the steepest climbs. Ideally I could get a gap then and solo the last few miles to the finish. Otherwise it would come down to a sprint and my chances are reduced then. I was fighting my head all day. You always have doubts and the best thing you can push back with is discipline. I’ve had my most productive work days when I’m half way tired, and I think this is because it forces me to focus energy and value every ounce as sacred. Sensing scarcity, we wisely conserve. In this race I just conserved as much energy as I could and didn’t do any work I didn’t have to. It is difficult to hold back sometimes when you know you have an answer. But timing is everything, and having the confidence to trust yourself to perform when your part comes up is the course you must follow, however subtle the inkling may be. Listen to it. On the last lap Mathew’s relentless attacking garnered a break with Nick from Nero Veloce. Zia held it in check but the pace was absolutely blistering. On the last climbs before the finish I moved up and pulled a couple riders, Bryan and Ryan, free from the peloton. After we crested the rise of the last hill we could see Mathew and Nick and I took a healthy pull to reduce the gap. The leaders must have been tired having ridden that last lap at high speeds off the front. At this critical stage in the race your efforts are intense but still measured. I pulled off the front to see if Bryan and Ryan were motivated to finish bridging the gap up to the leaders. I had enough energy left to stick on the wheels as they pulled through. They both contributed and by the time we got up to Mathew and Nick to form a group of five everyone was gassed. At this point you are surviving on instincts. The beautiful thing about bicycle racing is it sublimates our desires and allows us to channel our powers in circumstances that tests us. The experience of having failed helps me. No matter how hard it is I know these opportunities don’t present themselves automatically. They are a true gift. Racers can go a year or more without having a situation to turn to their advantage. So even though I was very tired, without thinking I rested up as much as I could and then accelerated away before anyone could catch their breath. This is hard because I was already close to all out, and by attacking off the front I was compromised and showing. I didn’t know if I could make it. That’s what makes it exciting. Once I acted on my senses and committed to the moment I emptied the tank. It’s a delicate act, feathering what is left. In a fantasy world you would feel incredible out there. But freshness is a distant memory 60 miles into a race (once in a while there are great days). You have to search for grace and form, hold it, and struggle trying to make it home. It is a hard psychologically to sustain the effort and push the limits. Racing with excellent competition lifts your game. This is how racing goes. The freedom of just being a player. It doesn’t mean that you are tougher or stronger, but sometimes things line up, even things beyond your control. Submitting to that, following your instinct and reason, preparing and doing your part, and channeling your enthusiasm for one brief expressive moment can be a very satisfying thing. Set yourself up for discovery. I find it in every circumstance even when someone plays it better than me that day. To be a witness as a race participant is something. I always learn. Today I was happy because I applied my learning, and honored the people and circumstances that made this possible. I’m especially grateful to my wife Mai for her encouragement, trust and support. Drew for advising me to start off in a big gear then click it down one notch, because when your adrenaline wears off, that’s where you’ll want to be. That’s time trial advice but I use it every race now to remind me to relax and be calm. He’s a master cyclist. For Jim, who teaches respect for every rider, and how to read a race. A master of reasoned passion. For Hernando, who is a cycling mentor to many a cyclist including me. He teaches the art, science and magic of bicycling, and braids together bicycling and community better than anyone. He rides with joy and never stops learning, and has a mind, heart and legs that are well connected. 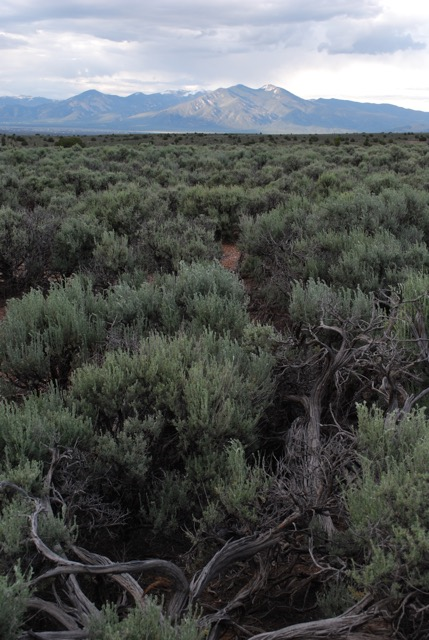 Through the people and land, it is good to be a part of this community in the American Southwest. 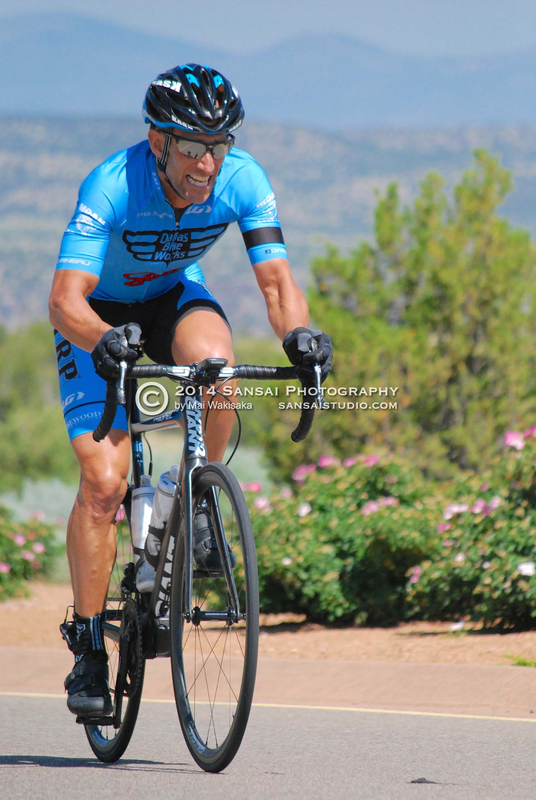 This entry was posted in race report on June 24, 2015 by bikeyogiblog. As Albuquerque holds community planning meetings this week, I’m reminded that cities are places requiring generalists who have the capacity for a wide perspective, the ability to synthesize seemingly disparate bodies of knowledge, and analyze interrelationships. Cities are places where different facets work together to bestow and amplify advantages for diverse populations. For instance, LEED or green buildings are even more wonderful if they are strategically located to encourage walking and bicycling access, the two most natural forms of public transportation. Not only does good location save carbon, but it creates propinquity for improvised human interactions, and spawns creativity by connecting people in shared public spaces. It changes social geography. Bicycling is an accelerator that improves our individual lives and every aspect of our lives together. Arranging for better bicycling in synchronicity with all of urban life speeds up sustainable development and progress in all areas. If we pay attention and use a beginner’s mind to approach seemingly intractable problems, we can adapt our concepts of the good life, turning what we thought were sacrifices into advantages. We can transform travel rush hour into time for creativity, communication, learning, exercise, enjoyment. Think work-live-play hour. This and more is in our power as we plan our city. The following quotes offer a reflective context for the enormous opportunities in front of us. 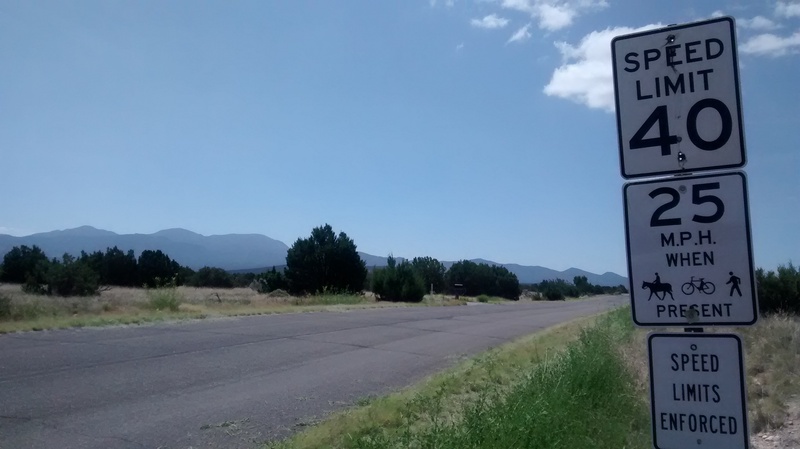 This entry was posted in Bicycling Ecologies, digital humanities, planning on June 23, 2015 by bikeyogiblog. Thank you to everyone who made this race possible. The winding, scenic course was challenging and beautiful, and the host community was kind and welcoming. 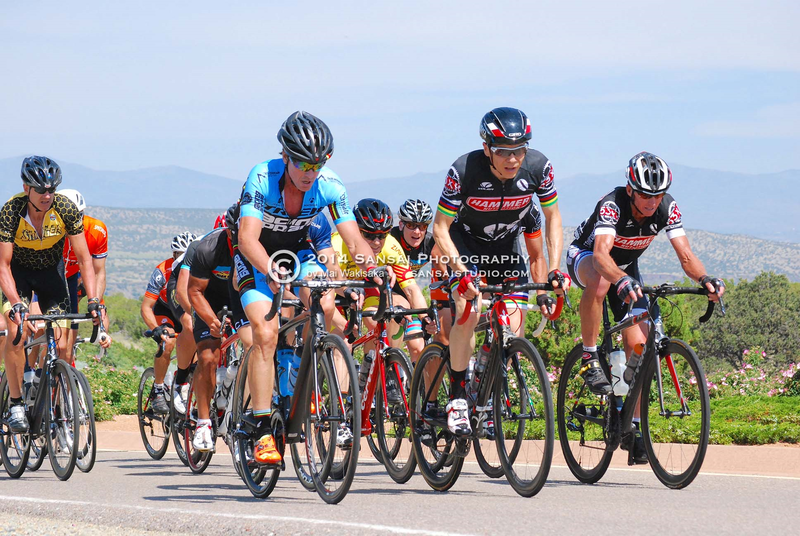 The RA Racing Apparel / Trek team are elevating the level of bicycle racing in New Mexico. 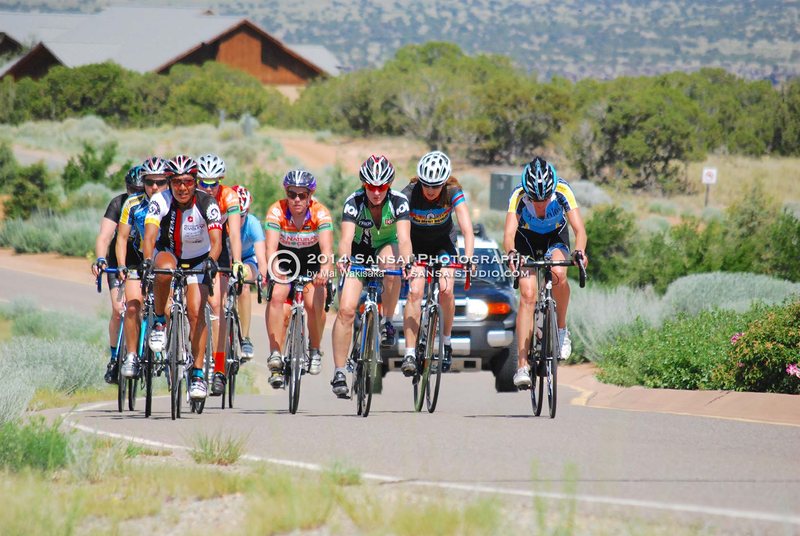 They donate proceeds from the race to the Las Campanas Community Fund/Santa Fe Community Foundation, which raises money to support local non-profits serving the Santa Fe Community. 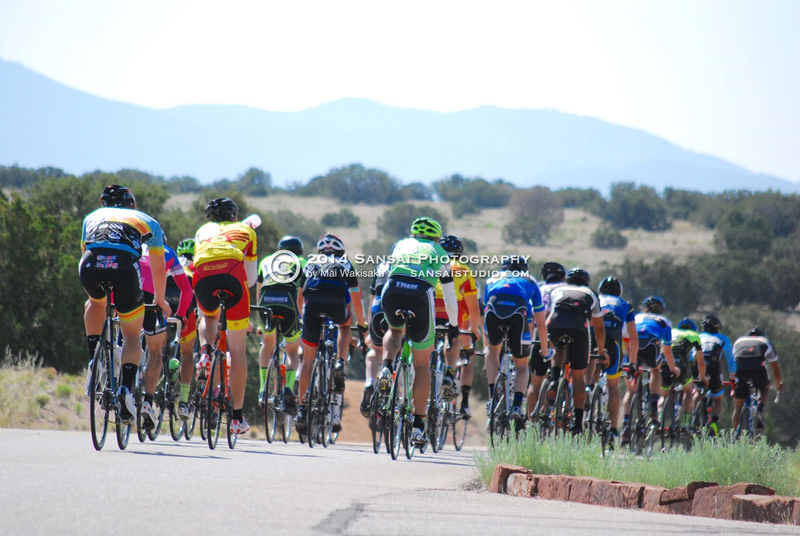 May the tradition of bicycling in New Mexico keep flourishing. Good effort everyone. I’ll be posting a race report here in the coming days. Dad recommends Bach and it may go nicely with the Sansai Studio photos. 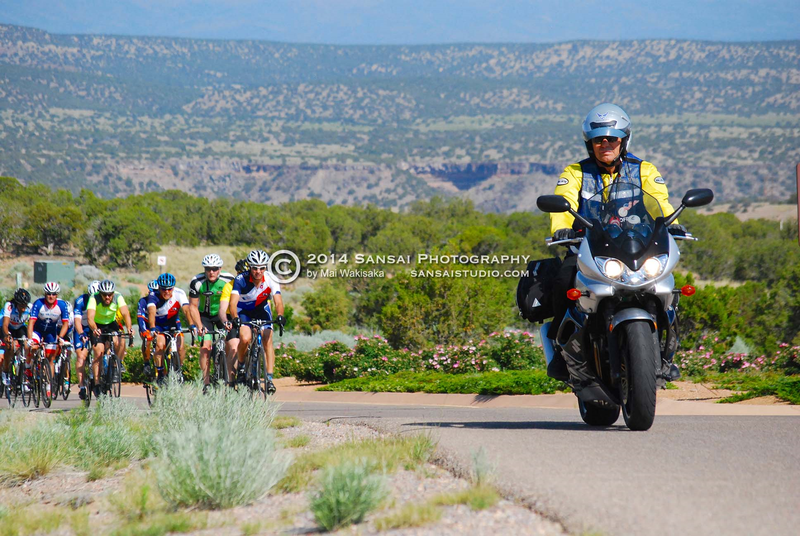 This entry was posted in community news, New Mexico, race report on June 22, 2015 by bikeyogiblog. Pedalers welcome. 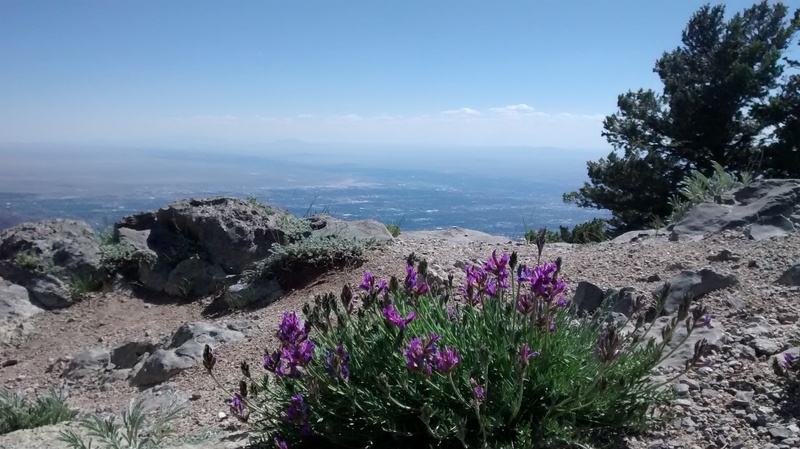 Come to Albuquerque’s integrated zoning ordinance development meetings next June 23 & 24 and learn more about helping Albuquerque get moving in healthy directions! Innovate ABQ is encouraging the creation of small businesses in Albuquerque. 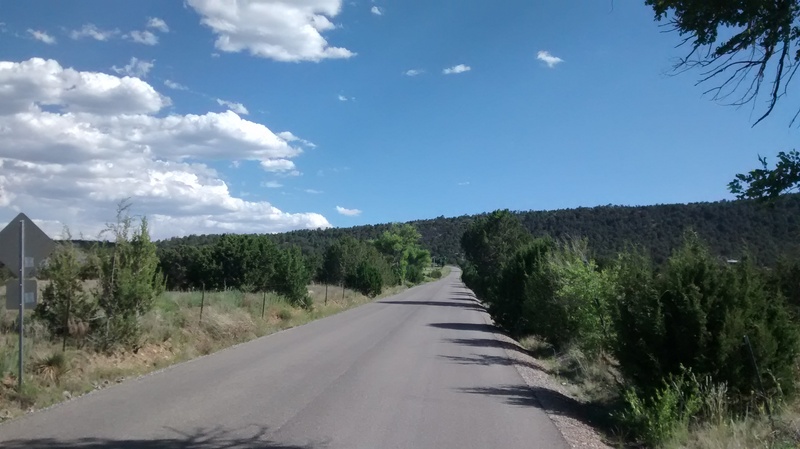 This entry was posted in community news, planning, Public Participation, Uncategorized on June 19, 2015 by bikeyogiblog.